Porcelain laminates, also termed Porcelain Veneers, involve a procedure that was invented by a New York City ceramist Adrian Jurim in about 1982. As he tells it he was trying to make a new smile for his wife and he didn’t want bonded filling material placed on her teeth nor did he want her to crown her teeth. He collaborated with several different New York City dentists in developing this technique in which a thin cosmetic layer of porcelain is bonded to enamel and the process of using porcelain veneers to cover the teeth was successfully developed . He has been granted a patent for this process of etching the veneers with hydrofluoric acid so that bonding material would stick to the porcelain(this strengthens the porcelain and allows the veneer to be attached to tooth structure. Porcelain laminates can be a terrific way to get a new smile. In a relatively short amount of time, with out the need for extreme tooth preparation, a cosmetic dentist can create a new more pleasing smile. This is especially good for people with worn or miss positioned front teeth. Also, If after attempting bleaching, you are still unhappy with your teeth’s color, laminates can be used to change the color as well as the shape and position of your teeth. 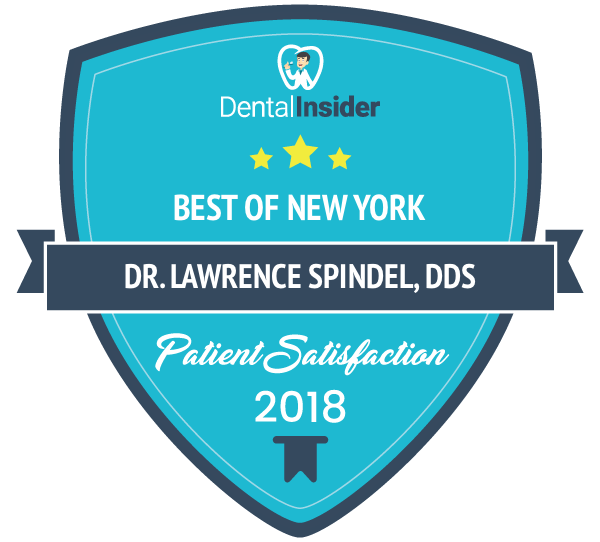 Dr. Spindel is an experienced cosmetic dentist who can specify a highly gifted and artistic technician to create your new teeth and there numerous success stories attesting the value and length of service of well done cosmetic porcelain laminates. An impression is made of the prepared teeth, the opposing teeth and a bite registration and these and other records are sent to a specialized dental laboratory for the veneer fabrication. While waiting for the final veneers the patient often doesn’t need to wear temporary restorations since the waiting time is usually about one week and the preparation of the teeth is minimal. If the patient desires, temporary veneers can be fabricated. After the veneers have been fabricated they are tried in to check their form and color. 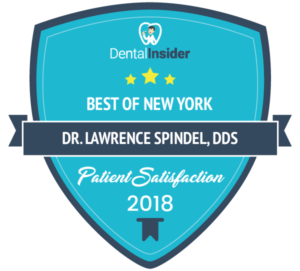 Minor adjustments can be accomplished at this time, but if either the patient or Dr. Spindel isn’t satisfied they will have to go back to the laboratory for major changes. Porcelain laminates that have been properly fabricated and carefully placed can last for many years. It is not uncommon for them to remain attractive and functional in the mouth for more than ten years. Patient home care and habits are important to achieving a result that lasts… Good oral hygiene, including proper brushing and flossing technique, is a must. With that in mind, there is no reason why someone desiring a more attractive smile shouldn’t consult their dentist about whether porcelain laminate might be a good option for improving their smile.